Hundreds of people gathered in Burlington to protest the outing of Attorney General Jeff Sessions, as concerns over the safety of the Trump-Russia investigation grow. At least 400 hundred protestors marched from the Federal Building on Elmwood Ave in Burlington to nearby City Hall Nov. 8 to make their voices heard to the Trump Administrations. The protest, called “No One is Above the Law,” was one of eleven protests organized across the state and one of more than 900 protests staged across the United States. 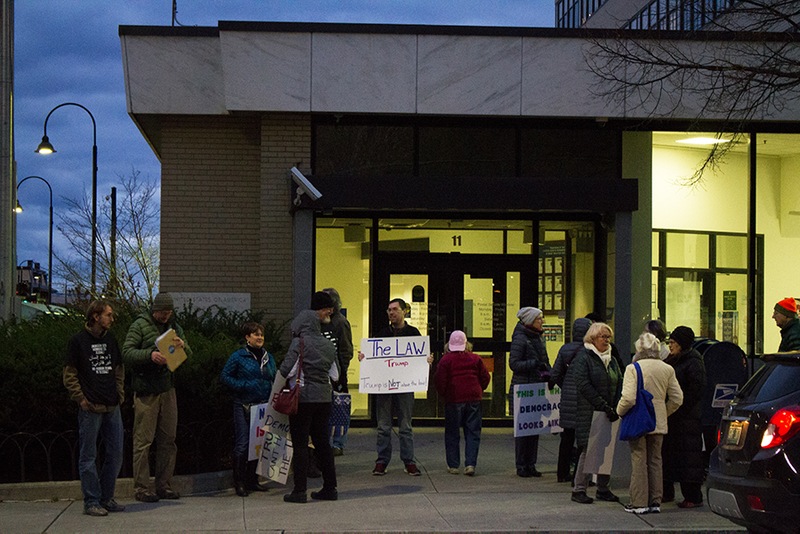 Protestors marched from the Post Office on Elmwood Ave to City Hall where a rally was held denouncing the Trump administration’s move to place Matt Whittaker, the former chief of staff for Sessions, as the new head of the Justice Department.